French Press vs Pour Over: Which Brewing Method Is Better? Over the past couple of years, at-home, manual coffee brewing has become increasingly popular. From frazzled college students to well-adjusted professionals, you can often walk into a person’s home and encounter a French press or pour over set up. 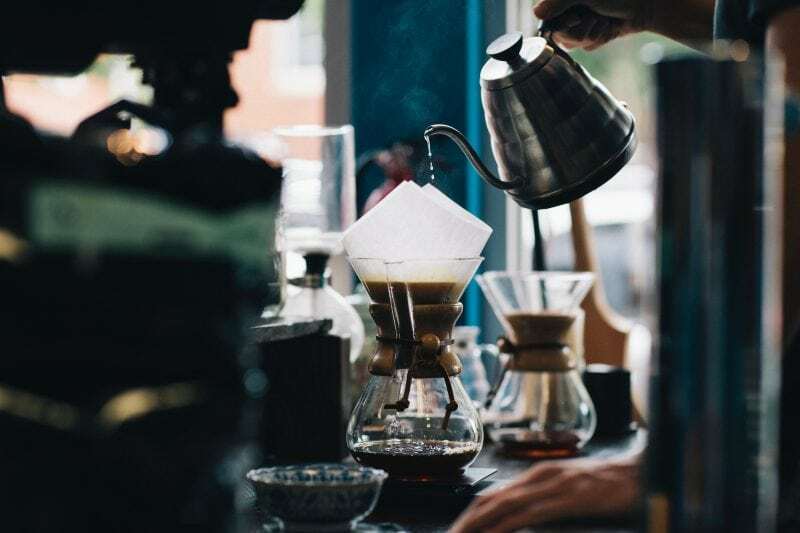 So, if you’re looking to jump in on this fun trend, read on for a break down on what’s-what and which of these two popular brewing tools might work best for you. A French press, also called a cafetiere or coffee press, essentially has 3 components: an open-topped cylindrical glass (called a carafe), a signature plunger, and a filter (usually stainless steel). Ironically, the mechanism was first designed in Italy in 1929. Now, it is most popular in Europe and the United States. Using the French press is fairly simple in case you are new to the manual brewing game. You begin by filling the carafe with coffee grounds. Then, you add hot water and let the mixture steep. Once the steeping process is finished (time frame), simply push down the plunger, which separates the grounds from the coffee, and enjoy your drink. If you prefer drinking a cup of coffee that is strong, bold, and rich, this is probably the tool for you. With this brewing method, much more of the coffee’s oils are drawn from the grounds, making the flavor more intense. Also, if you enjoy the idea of customization, the French press is ready to serve. Since the brewer gets to choose basically any grind size and control the strength and richness by altering the time the grounds are steeped. One issue people take with the French press is the presence of grit. While the screen filter will keep out larger grounds, some smaller ones might get through, giving the coffee a slightly gritty texture. Some products claim to remedy this issue, but as those filtration systems wear down, you might still get some grittiness. Lastly, while the process of using the French press is pretty painless, cleaning it might be a different story. The mechanism must be dismantled, and the pieces cleaned separately. The pour over method also requires pouring heated water over coffee grounds; however, with a Pour over, you place the grounds in a cone shaped component. The grounds are stored at the top of the cone. The grounds are then wet and left to sit for a moment before more water is added. The filter causes the added water to soak through the grounds in a circular motion and eliminates the element of constant contact, so the finished brew is lighter and smoother with no grit regardless of what product you use. You can watch a video on pour over coffee methods here. Many people see the lack of grit as the biggest advantage of the pour over method. If you are looking for a smooth cup that resembles what you could get in a normal drip brew, the pour over will likely suit you better than the French press. This method also makes for easier clean-up. With no need for dismantling, this option works well if you are only looking to make one or two cups in the morning. The flavor of the coffee is less intense when using the pour over, which is great for people who prefer lighter coffee but is a bit of a bummer for people who gravitate towards strong coffee. KONA’s biggest selling points are its filtration system and its design. Ranked first or close to it on several ranking platforms, this French press features a tight-fitting, stainless steel filter screen and a borosilicate glass carafe. While most top rated French presses have similar stainless steel filters, many claim that this one will leave you with zero grit in your final cup. It is also fairly easy to clean, and it is quite durable. Because the filtration system contains no plastic (which ends to warp over time), you can rely on this press for a long time as long as you treat it properly (i.e. do not wash it when it is still hot or throw it out of your window). If there’s something to complain about, it might be the lack of insulation. This means the coffee cools off after 20-30 minutes of sitting out. So, while it is durable enough for some light traveling and outdoor use, it might not keep the coffee warm for longer trips. Also, the lid to the carafe has a looser fit than most and might need to be held on while pouring. This Bodum boasts easy clean-up with a heat resistant borosilicate glass carafe, a plastic handle and base, and a stainless steel plunger with a mesh filter. The Bodum Chambord is great for beginners and is one of the more inexpensive French press options, making it a fan favorite for its value. The stainless steel filter helps reduce the amount of grit that makes it in your cup while maintaining that thick, rich feel and taste that is expected of a French press. Also, unlike some French Presses, it will produce the same quality regardless of how much coffee you brew, making it great for homes with just one or two coffee-lovers. The primary complaint about this product is the misleading cup size. While the postings claim it can produce 8 cups of coffee, many reviewers say it makes much less (about 4-5 cups). While that is still an acceptable amount for most small households, if you are looking for a press that can make enough for a larger number of coffee drinkers in one go, this product might not work for you. For more French press recommendations go here. This is one of the most well-known, iconic coffee drippers on the market, and honestly, its renown is not surprising once you have used one. To use this pour over tool, you simply add your favorite filter and the spiral ribs will do most of the work. They give the grounds room to expand and help you get the most flavor out of your coffee. According to reviews, the ceramic and glass models yield the best results but there are a number of other options if those do not strike your fancy. 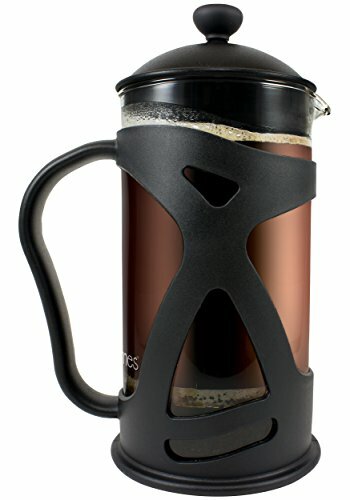 The unique design allows for a highly efficient brewing experience, contrary to many of its competitors. However, this product might not be the easiest to use for beginners. If you mess up the pouring process, the quality of your coffee will suffer for it. 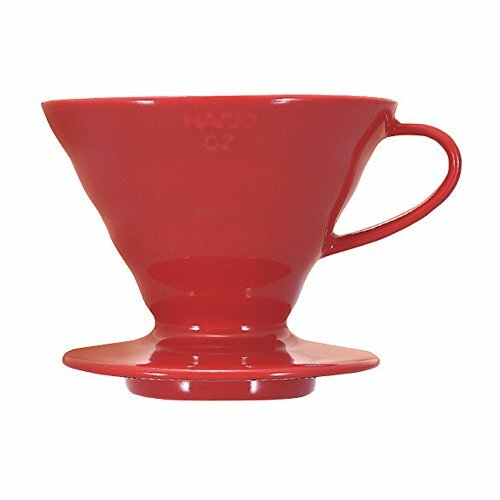 This pour over option is great for coffee addicts who want to make more than one or two cups at a time with 4 different size options. It features borosilicate glass, a polished wood collar, and a leather tie with contribute to its durability and aesthetic. 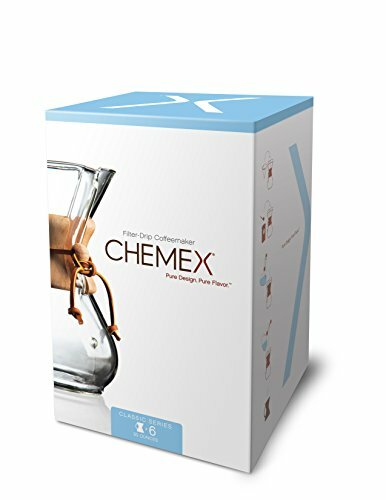 The Chemex brand made its name in pour over coffee makers and have been in the business since 1941. Some reviewers complain that getting the right combination of grind size, water, and amount of grounds can be a little tricky, making brewing a bit finicky. However, those issues are typical across the board with pour over coffee and can be remedied with a bit of practice. In all, this design is simpler and more user friendly than other options available to buyers. For more pour over recommendations go here. At the end of the day, the choice comes down to taste, texture, and ease of use. If you want a bolder, thicker brew that will not require too much finessing on your part, a French press is the way to go. 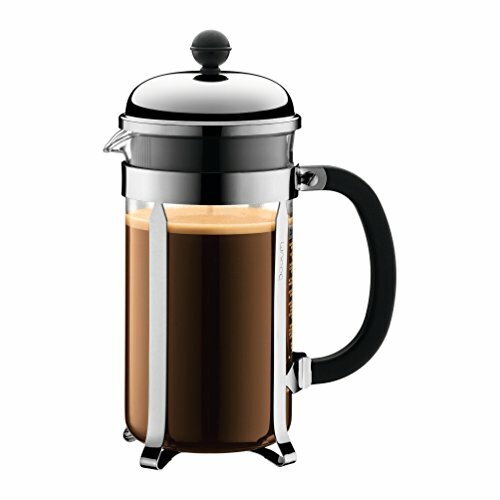 Many models on the market either partially or entirely eliminate the grit problem that is characteristic of the French press method. However, if you happen to like coffee that packs less of a kick and is a little smoother, you might want to try your hand making pour over coffee.